Matava - Fiji’s Premier Eco Adventure Resort and Mad Fish Dive Centre organise a Beach Clean-up on Kadavu for Project AWARE’s Dive For Earth Day 2010. 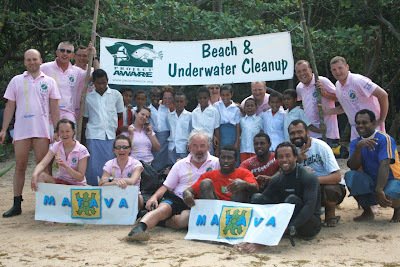 KADAVU, FIJI ISLANDS - 27 April 2010 - Matava - Fiji’s Premier Eco-Adventure Resort and Mad Fish Dive Centre are again proud to have been actively involved in Project AWARE’s Dive For Earth Day 2010. Beach Clean Up at Matava and Mad Fish Dive Centre A very successful "rubbish filled" day was had by all on Vesi Beach in aid of Project AWARE’s Dive For Earth Day 2010. 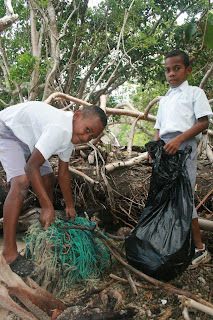 Students from Vacalea Primary School 10 school children from local Vacalea Primary School joined together with all 13 members of our dive group from Poland joined with all the staff from the resort and dive centre at Matava to clean up the beautiful Vesi Beach on Saturday 21st April 2010. "At Matava, and Mad Fish Dive Centre we are of course both happy and proud to be involved in this global event and in the South Pacific and indeed the World" said Matava Director, Richard Akhtar. "The educational value to the local scholl children should not be underestimated and they thoroughly enjoyed their day!" Mr Akhtar finished by saying "We would like to thank all friends and clients of Matava especially the dive group of Poles who were in-house and participated. They have all contributed to the success of our ecotourism principles and the resort and we look forward to exciting times ahead." Matava - Fiji’s Premier Eco Adventure Resort, is an eco adventure getaway offering you a fun and unique blend of cultural experiences and adventure activities in the environmentally pristine and remote island of Kadavu in the Fiji Islands. 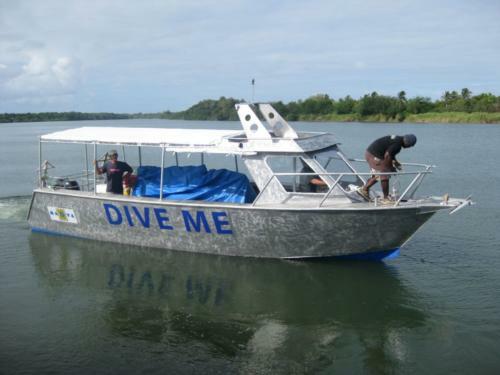 Matava - Fiji Premier Eco Adventure Resort is a PADI 5 Star Dive Resort as well as a Project AWARE GoEco Operator. With more than 14 years experience in the Fiji Islands, Matava is recognized as a leading educational dive centre. Matava offers accommodation for up to 22 guests in lush tropical surroundings in traditional thatched Fijian ’bures’ with hardwood polished floors, louvre windows and private decks offering privacy, comfort and superb ocean views. 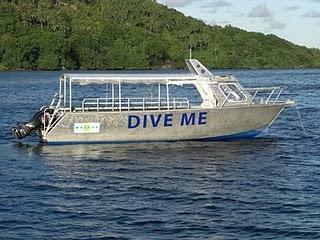 Mad Fish Dive Centre is Matava’s on site PADI 5 Star Dive Centre. We dive the The Great Astrolabe Reef extensively and cater for all levels of diver from beginner to experienced. Mad Fish Dive Centre will take you to sites varying in depths, currents and visibility ranging from 20 - 50m where you can expect a kaleidoscope of colourful corals and wonderful marine life - we can assure you that you won’t be disappointed.